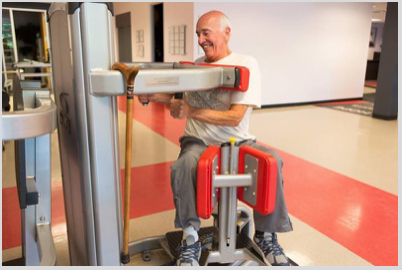 The Recovery Project is offering a grant to anyone with Parkinson’s disease that wishes to attend a Wellness Program or exercise classes.Grant cannot be used for Physical Therapy or Occupational Therapy. There are no obligations or financial qualifications required. Grant can be used for a program you are currently attending, or one you wish to attend. Grant money can be used towards any wellness or exercise program – not just at The Recovery Project. Amount of grant is generally enough to cover 1 or 2 packages of classes (i.e. 10 classes per package), but varies depending on how class sessions are set up. Complete “Take Power Over Parkinson’s” Grant Application Form and return to The Recovery Project per the instructions on the application. The Recovery Project will contact you directly if they have any questions and let you know the amount you have been approved for. If you will be attending a program or classes through a different organization, The Recovery Project will pay them directly. The funding for this project is made possible by the The Mary and Charles A. Parkhill Foundation for Spinal Cord and Parkinson’s Disease Wellness and Rehabilitation.